SÃO PAULO, BRAZIL – In the first five months of this year judicial recovery requests in Brazil increased by 95 percent in comparison to the same period last year, according to a survey conducted by Serasa Experian. Unlike bankruptcy, judicial recovery is a court-approved rehabilitation procedure, whose main purpose is to preserve the company. 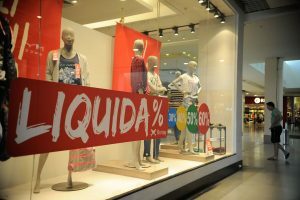 With the economy in a deep recession, companies are doing what they have to for survival, photo by Tânia Rêgo/Agência Brasil. According to the credit analysis company 755 companies filed for judicial recovery protection, or judicial recovery, from January through May of 2016, the highest volume since the country’s new bankruptcy law was approved, in 2005. Last year 387 requests were filed during the first five months of the year. “The current recession, which has been dragging on for two years, and the difficulties in obtaining credit have undermined the financial solvency of the companies, taking requests for judicial recovery to repeated record highs,” stated Serasa Experian analysts. According to the credit analysis company more than half of the requests, 433, were filed by micro and small companies, which were opened during a time when credit was abundant and less expensive. Now with the country facing one of the worst economic recessions of its history and credit costs soaring companies are finding it hard to pay back creditors and maintain their businesses afloat. The number of companies that filed for bankruptcy during the five first months of the year was also high, 674, up by 5.5 percent from the same period last year. With inflation nearing ten percent and unemployment reaching two-digit numbers in April, consumer spending has plummeted this year, leaving companies with limited cash flow reserves in a fragile position. And more companies are likely to seek protection from creditors during the second semester, since forecasts from international economic agencies, like the OECD, and national entities, like the Central Bank expect the current recession to continue into 2017.